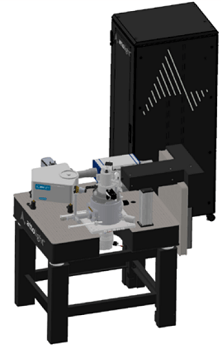 Attolight’s tool can be field-upgraded to measure pico-second luminescence decay times. Change from continuous to time-resolved mode can be done on the fly with software control. This mode allows the measurement of minority carrier lifetimes and excited carrier diffusion distances. 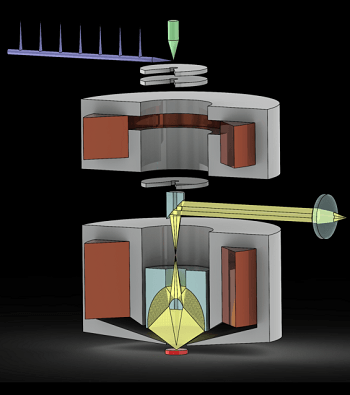 Conventional time-resolved CL systems use a beam blanker to “chop” the electron beam into short pulses. This approach approach however leads to a loss in spatial resolution and time-resolution can not reach the picosecond regime. This is why Attolight uses a revolutionary technique to obtain short pulses: make use of the photoelectric effect by focalising a short laser pulse on the electron emitter to cause photoelectron emission. 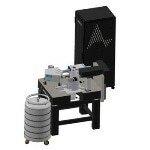 By carefully synchronising the ultrafast detector to the excitation laser, time-resolutions below 10ps can be achieved. 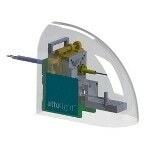 Attolight is the only company commercialising time-resolved CL systems based on this approach and has a world-wide unique experience in implementing and using such systems.